Trust me. 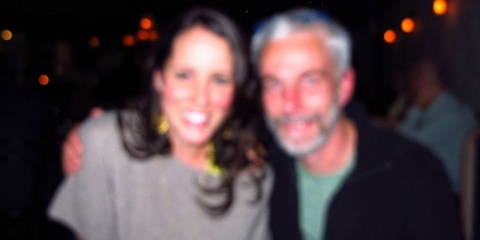 It's me and Frank Cornelissen @SottoLA! Where do you take a visiting Sardinian during his stay in Los Angeles? You take him to Sotto, where he will feel at home. 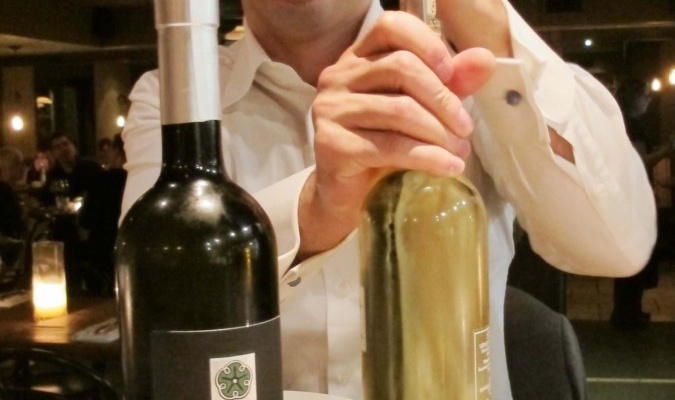 Watching Fabio Angius of Pala winery at Sotto was like watching a seal slip back into the ocean after sunning itself on the rocks- he was in his natural habitat, and he was happy to be there! We made a reservation on the evening of Superbowl Sunday: thank you Sotto, for staying open that night! The guys from Old Vine Cafe in Orange County joined us- we decided this kind of culinary excursion should be an annual event for us on ever Superbowl Sunday. For those Americans like we few who do not Worship the Football, it’s a fantastic night to eat in those places that are normally packed and tough to get into. We started with the Pittule Pugliese, fried chickpea fritters. These are crispy on the outside and fluffy in the middle- perfect to accompany really any wine. I repeat: Any. Wine. After that we ordered a whole slew of plates… nothing but culinary magic all night long. Octopus with braised chickpeas and greens. And Bottarga. Pane Frattau (a sort of crispy Sardinian Lasagna topped with a fried egg). (Clams steamed with pigeon peas and n’duja sausage, made in-house). Epic housemade bread slathered with house-cured lardo. The Perfect Margherita Pizza. Enough said. While we tasted through all of Pala’s wines with Fabio that night, one of the most versatile and interesting was the simple Monica. This wine is made with 1005 Monica, an indigenous grape the Sardinians believe must have come from French Monks, hence the origin of the name “Monica”. It has some characteristic brightness of Gamay, and the lovely fruity-silky feeling of Pinot Noir. 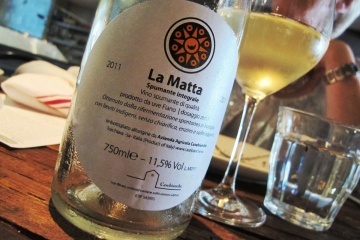 Overall is it juicy, well-balanced and everything you’d want to pair with this kind of rustic southern-Italian cookery. You should! Really fantastic food- and it’s so interesting and different from most Italian places. Wine list is also stellar! I’ll have this on my list as well. Everything looks fabulous! I’ve been trying to go since Steven left Ortica! Hope you are well! Anytime you want… just say the word! I know Doug would be in as well!